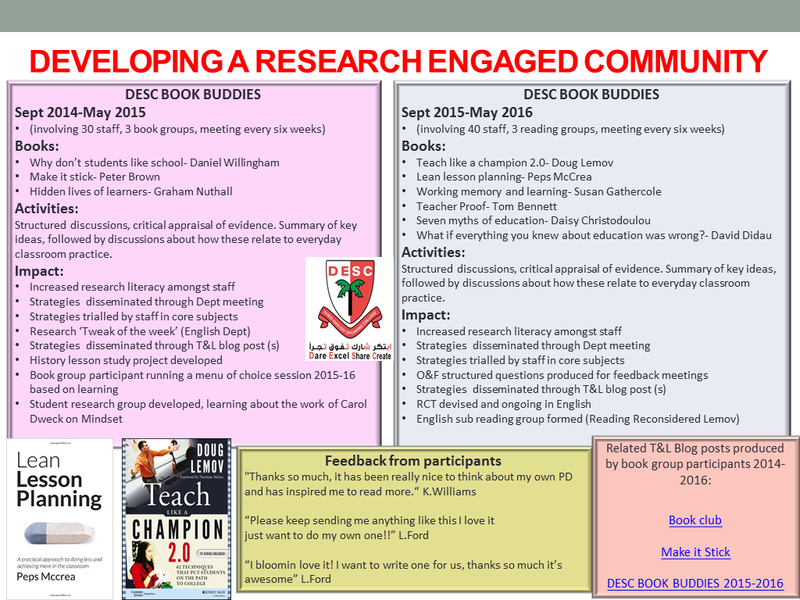 Reading groups 2016…it’s a wrap! 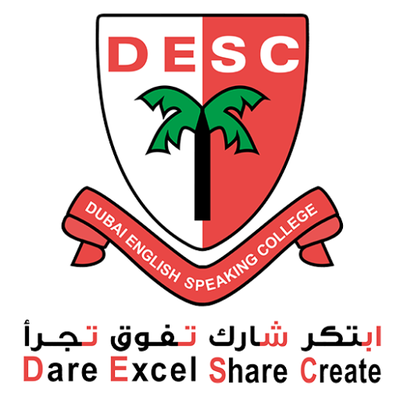 Yesterday saw the conclusion of our three staff reading groups at DESC. 40 staff have been involved in this initiative this year, reading educational literature and then meeting regularly to discuss how findings can be applied to our context and help support the improvement of learning at our school. Additionally fostering a spirit of debate and inquiry across our teaching staff. We spent the last part of the meeting discussing the future of the reading groups and our thoughts for developing this even further next year. All agreed the process has been useful and I summarise the comments/feedback below. Narrows the gap between research and practice! Can we meet more often? How are we disseminating the ideas further? How do we create more of these types of opportunities for staff to come together to discuss T&L outside of their Depts? Would be great to see even more people involved in the reading groups next year! I attach some tips and guidance for running a staff reading group.